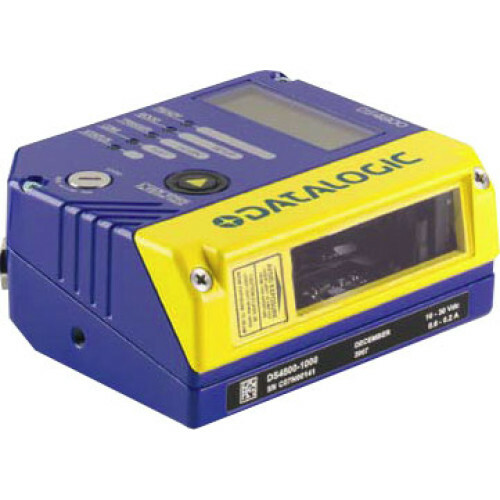 Datalogic DS4800 Scanner - Big Sales, Big Inventory and Same Day Shipping! The Datalogic DS4800 is an industrial laser scanner combining flexibility and compactness thus satisfing all application needs of the production plant. Through the smart focus adjustment the DS4800 optimizes the performances based on the reading distance. This extends the reading area and improves the overall read rate. Thanks to DIGITECH technology, the DS4800 provides excellent reading performance on low quality barcodes. By means of optimized reading recipes, DS4800 improves reading rate on low contrast barcodes while granting excellent performance at high skew angles. Additionally, ACR4 reconstruction technology increases the max tilt angle and decoding rate on damaged barcodes. DS4800, -1000 Adjustable Focus, Linear. Priced per unit. 2 week lead time. Bk-4000 L-Shape Bracket (5 PCs). Priced per unit. 2 week lead time. Bk-4001 U-Shape Bracket (5 PCs). Priced per unit. 2 week lead time.